Many changes are in store for Dungeons and Raids in Mists of Pandaria. In addition to nine new dungeons and three new raids exploring the lore of Pandaria upon release such as Heroic Scholomance, there will be Challenge Modes to make dungeons interesting long after players would otherwise normally outgear them. Wearing normalized gear with low itemlevels, players will race to complete speed clears--winning prizes such as distinctive armor for Transmogrification and mounts. The looting system in LFR is completely redone and Valor Points now augment items, instead of serving as currency for new gear. We have written and video previews of all the instances accessible on the beta, as well as Encounter Journal entries for other instances. The new expansion will introduce three new Raid dungeons and nine new dungeons with six of these being located within Pandaria. The intention is to open up multiple opportunities for max-level players to take part in a variety of progression options. Valor Points are completely reworked. They are no longer a currency for actual items, but something you use to (repeatedly) augment the ilvl of your gear. Details are still being worked out as to how many times players can bump up the ilvl, or what happens when players hold onto an ancient item for the stat combinations. The current 5.0 model is that there are 8 raid buffs: health, attack power, spell power, melee haste, spell haste, crit, mastery and stats. 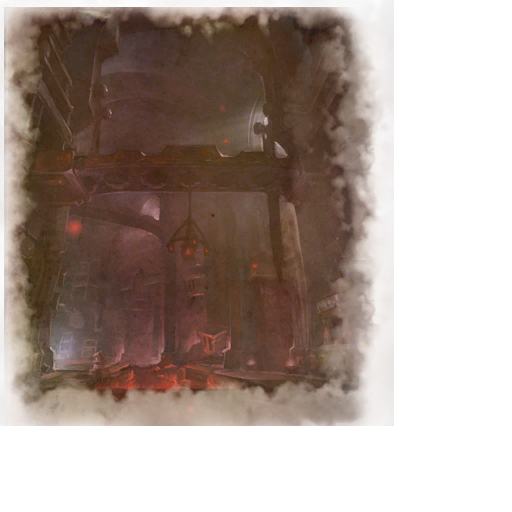 In Cataclysm, Heroic dungeons were intentionally designed as gear and difficulty checks on the progression to raiding. In Mists of Pandaria, the Raid Finder will be the appropriate transition from running dungeons to Normal raids. Heroic dungeons will largely be tuned to be about as difficult as they were in Wrath of the Lich King, allowing players to fairly quickly down bosses in PUGs and hit their Valor Point caps. Valor Points will follow a new philosophy with 4.3, as a parallel way to gear up alongside the Raid Finder, but not as a fill-in for boss drops. The overall goal for this expansion is that any time you log in, you should be able to make some kind of progress on your character. Whether that's through Normal or Heroic raiding, queuing for a Raid Finder run, hitting dailies for rewards and VP, busting out a scenario with some strangers, or joining some buddies for a dungeon Challenge, we want you to be making meaningful progression on your character. Some ways will be faster than others, but no matter what you choose to do, you'll be making progress. The goals for dungeons and raids in Mists of Pandaria are to create epic and challenging experiences, but Cataclysm also helped us learn where we can improve with the new expansion. The Raid Finder will help with taking that first step into endgame content, and it will be available for all Mists of Pandaria raids. Beyond that, we want to create more easily understandable encounters and move away from mechanics that simply set up groups to fail, while still keeping them challenging. We’re also looking to address some of the issues that came with how the zones and locations were spread out in Cataclysm. While that’s largely addressed with Pandaria simply being one continent, it also includes giving dungeons and raids more of a presence in the world. All of the dungeons and raids in Pandaria exist as actual locations you can walk up to and fly over, and aren’t just encapsulated experiences hidden behind a portal. Lead Encounter Designer Scott "Daelo" Mercer also talked about his thoughts on what can be learned from Cataclysm dungeons and raids. Click to read in full. As a part of our post mortem series on Cataclysm, we sat down with World of Warcraft Lead Encounter Designer Scott “Daelo” Mercer to hear his thoughts on Cataclysm dungeons and raids. Q. What were your main goals going into Cataclysm? We really wanted to make sure we were creating new challenges, strong mechanics, and cool creatures while staying true to the expansion and the themes we wanted to carry out. The three raid dungeons came out well and we had a lot of fun bringing the story of Nefarian and the Twilight’s Hammer to life. We were also able to add some dynamic mechanics in Throne of the Four Winds, which featured players moving across multiple platforms. How did this evolve over the various content patches? Zul’Gurub and Zul’Aman were entertaining raids with diverse mechanics, and they translated well when we converted them into Heroic dungeons for patch 4.1. Interesting mechanics and features that once were restricted to raids are now finding their way into our five-player dungeons. Adding the Dungeon Journal in patch 4.2 was also a major step forward. We wanted to be able to share more information in the game so that players wouldn’t feel the need to go look everything up on external websites. While those sites are great at what they do, we felt like we needed to try to alleviate the need to go out of the game to find the information players wanted to see. The addition of Raid Finder in patch 4.3 also opened up more opportunities for players to be able to experience our raid content. The feature has proven to be extremely popular, and not just with people who had given up on raiding. Many players use Raid Finder to gear up their secondary characters, gain Valor for the week, or just because it’s fun. Q. What do you think worked best? We’ve been reasonably successful with our tuning across all four raid difficulty modes. There were a few warts here and there, but we delivered on the idea that 10-player and 25-player raids could exist at a similar difficulty. We also had some memorable dungeons and cinematic moments in Cataclysm. I’m particularly fond of the interactive bombing run in Grim Batol involving the red drakes. Players really got a sense of the epic scale of Grim Batol, and how well they performed in the event could make clearing the rest of the dungeon much easier. With our improved tools and the experience we’ve gained over the years, we’ve become better at finding ways to explain the mechanics of our encounters. Our bosses do a better job of warning players of incoming threats. In Dragon Soul we also began to better inform players of mechanics that caused them to die. Providing a better understanding of the encounters to players is an important goal. We feel that losing to a boss and not understanding why is frustrating, just as beating a boss and not understanding why you won is not as satisfying. Q. What didn’t work out as planned or expected? Initially, we started off the Heroic dungeons at too high of a difficulty. The difficulty level rather abruptly changed when compared to the Heroics players experienced at the end of Wrath of the Lich King. This major change caught many players off guard, and frustrated some of them. The difficulty also increased the effective amount of time required to complete a dungeon to a longer experience than we wanted. With the release of patch 4.3 we’re now in a much better place. We’ve always talked about being able to complete a dungeon over lunch, and the Hour of Twilight dungeons get us back to that goal. End Time, Well of Eternity, and Hour of Twilight all provide epic play experiences to our players, but at the real sweet spot of difficulty, complexity, and time commitment. Q. Was there anything that surprised you about how players reacted to a particular encounter? Not particularly. Something we’ve learned over the years is to expect the unexpected. The community is very creative and intelligent. The most important thing for us is that players are having fun. They often find interesting ways of approaching things that maybe we didn’t expect, but as long the creative solution is still fun for everyone, we usually don’t have a problem with it. Q. What have you learned from Cataclysm and what are some of your top goals for Mists of Pandaria? We learned we could create a crazy encounter like the Spine of Deathwing. It took a lot of hard work from the whole team and it was a difficult design challenge to tackle. How do you orchestrate a fight on the back of a gigantic flying dragon without inducing nausea? How do we make sure you feel like you’re on Deathwing? Delivering that experience was really important and everyone wanted the opportunity to work on it. What was really great was that we launched the story of Cataclysm with the cinematic that showed Deathwing having his elementium plates being put on, then we end the expansion with those very same plates being torn off. It gives some real closure to storyline. Mists of Pandaria, we will continue to provide new dungeons and raids while also presenting interesting new types of content in the form of challenge modes and scenarios. Players will also be introduced to new enemies in the Sha, Mogu, and Mantids. Making those creatures come to life will be a lot of fun. Q. Do you have a favorite dungeon or encounter from Cataclysm? There are so many. The Conclave of Wind was a great one. Working out interesting mechanics that allowed players to go from platform to platform was a lot of fun and the environment felt really epic. A fight like that was a goal of the encounter team for a very long time. Blackwing Descent was another favorite and working out the mechanics for the Atramedes fight gave us a lot to think about. How do you create an encounter with a blind dragon that fights? So we gave him sonar and showed the interaction with a sound meter on the player’s UI. In Bastion of Twilight, we really got to sell the corruption angle on Cho’gall which made for another really interesting fight. Q. Is there a certain mechanic that you always wanted to do but couldn’t do prior to Cataclysm? Not really. There are so many cool ideas to work with that I never feel held back. It’s easy to be creatively inspired by the people around you and their energy. It’s never a problem of coming up with ideas. It’s usually deciding which ones we want to go with next, but the possibilities are endless. Q. Do you have a “dream” dungeon or encounter that you’d like to create if you had the opportunity? I’ve never felt that I haven’t been able to do the things I want to do. Everyone on the team is completely dedicated to giving us unlimited opportunities to make epic and awesome experiences. But, if I have to mention something, it would be huge giant death robots. We had Mimiron in Ulduar, but you just can’t have too many death robots. Q. Thank you for your time, Scott. Discuss the latest Cataclysm Post Mortem here. Challenge modes remain similar to what BlizzCon said about them. However, they have hinted to having realm first achievements tied to them. It's possible this will be scrapped, but if it remains, expect a lot of controversy--and competition! Silver: Special transmog armor--example was gilded rogue armor with asymmetrical dragon shoulders. Gold: Access to a mount with unique look. Once players have beaten all the gold achievements, they have access to a realm leaderboard. Challenge-mode leaderboards allow players to filter by instance, time, and by guild. Inspiration for challenge modes: timed Stratholme runs and the original Zul'Aman run for the Amani War Bear. Intended to be competitive PvE without confrontation, and a way to foster community within guilds. Player's UI will show medal tabulation, record times, rewards, and how much time mid-run until you hit the next bracket. Several achievements for Challenge Modes were available on press servers. There were achievements at all levels for completing the instance, as well as 'Full' achievements for obtaining a medal in every instance. There were also Realm Firsts for Gold and Full Silver challenges (subject to change). Are you yawning at the idea of more five-player dungeons? You may be interested in Challenges. This is a new time trial system coming in Mists of Pandaria for level-90 dungeons. The challenge itself may not always be difficult, but ranking will be. Do well and you'll earn a bronze, silver, or gold medal. Completing the Challenge on gold will incur a stacking debuff on future attempts: it’ll start with a 5% debuff, but if you manage to finish with a gold medal time on that run you’ll receive a 10% debuff on your next run, and so on. In addition to realm-wide bragging rights, completing Challenges will award you with unique Transmogrification items and other vanity rewards. Oh, did we forget to mention that your gear will be normalized? Sorry, no gearing up or stacking items to get the best times -- your item level will be normalized so that even when the next raid encounter comes out and new gear drops, your world-record will stand until some other group of chumps actually has the em to beat it. Challenges will be enabled during any dungeon run that supports them, including those joined through the Dungeon Finder. To help get people together that are looking to achieve the same goals, a special flag will be available to only match you with others looking to do Challenges if you do use the Dungeon Finder. The difficulty at which we pegged our heroic dungeons and raids was controversial. They were designed to be about as tough as the dungeons were back in Burning Crusade, but the game has changed since then. Coming out of Lich King, we’d gotten the message loud and clear from players that they wanted tougher challenges. They liked the convenience of Dungeon Finder, but they missed using their crowd control and survival abilities and having to strategize about how to beat a given encounter. We designed the Cataclysm heroics with that in mind, and the players who wanted challenging content were thrilled. The problem was that we had this whole group of players who felt like they couldn’t make any progress on their characters. Even if they wanted to end up raiding with their friends, they couldn’t earn the gear they needed to get into those raids (especially in the absence of Raid Finder). I don’t believe that the instances were too hard; it’s obvious there are players who enjoy that content. I believe the problem was that there were no alternatives. With such a diverse community, the goal is to have experiences that players from all over the spectrum can enjoy. We don’t want to shut anyone out. So, we’re addressing that with Challenge Modes in Mists. You’ll have normal and heroic mode dungeons, and then Challenge Modes, for players who are looking to prove their mettle. Likewise, you’ll have normal and heroic raids, and Raid Finder for players who don’t enjoy wiping on a boss week after week until they can master it. Nine new dungeons total, six of which are set in Pandaria. Heroic Dungeons will become easier for pick-up-groups (PuGs) to take on. No level 90 normal-mode dungeons--people will just go straight to heroics and challenge modes. Scholomance and Scarlet Monastery will be new heroic dungeons in 5.0, similar to Deadmines and Shadowfang Keep in Cataclysm. Scholomance was talked about at length during the press event. It's obvious they want to give it the Deadmines treatment, but avoid the disappointment many fans felt when they remade other instances such as Zul'Gurub. Goal of Scholomance is to keep the flavor of old instances while removing weaker sections. Updates are clear from the start in animated heads that appear on the wall, with eyes that follow you. Layout was strengthened: for example, everyone skipped the first room, so now its a focal point with a boss. The central classroom was updated to have more benches, classrooms, candles, and creepy pictures--feels like a classroom instead of empty space. Jancice Barov keeps her flavor and numerous shades, but her trash is less lethal with the toxic clouds, and it's easier to see around corners. Similarly, the early room with the skeletons summoned from piles keeps that mechanic--but instead of trash packs, it's more interesting. Lilian Voss is fighting Darkmaster Gandling as skeletons spawn. Darkmaster Gandling is still the final boss, but he's "really into fire now." Fire spins around the entire central room on both floors. The mini-bosses weren't previewed, but in fighting Gandling, you'll be ported to various rooms like you were in the original fight. Intended to be more focused and quicker experience than the original dungeon. Check out the official Blizzard trailer here. Temple of the Jade Serpent: first dungeon encountered while leveling from 85 to 90. Lore from Tankspot and Krelumian were able to run most of the Temple of the Jade Serpent--it seemed pretty cool watching them across the room! This instance was a shrine built for the last emperor, who defeated the Shaw ("similar to the slime from Ghostbusters 2") and bound them until heretic pandaren set them free to feed on emotions. The first boss is surrounded by pools of water in a circular drainage and irrigation pattern. In the first phase, the boss will periodically blow up random pools. The second phase is mostly a tank and spank. There is a beam-style spout and the water ignites. The second boss has three stances. Fire Stance: AoE, sends waves of fire around the room. Jade Stance: AoE, waves of fire now leave lingering trails. Jade Dragon Stance: Fire breath ignites floor under players. Another boss places a dot on the player which can be dispelled. It also summons shades which link to the player--when their energy bar hits full, it detonates and will heal the boss/damage the player. There was another boss that seemed pretty tricky--it AoEd the party for a ton of damage and had an uninterruptible nasty ability. Check out the official Blizzard previews here and here. Stormstout Brewery: reclaim Chen Stormstout's brewery and beer, defeating Virmen and Hozu inside. Stormsout Brewery will be a light-hearted 5-man where players fight hozen (monkeys) that have broken into the brewery. Notably, there are several interactive items that you can pick up and equip to add flavor to the instance. The hozen have invaded the brewery and are extremely drunk. Some are asleep and some are fighting because "monkey knife fights are amazing." For the initial trash and rooms, players have to break up the party--tapping kegs, blowing up brews. There's fireworks, bouncers, and hone with party hats. After players clear enough of the room, the first boss encounter starts. The second segment focuses on the virmen. The trash drop hammers, which players can pick up and equip for fun animations and more damage. The boss here is Hoptallus, a gigantic evil bunny with themed abilities. In the last section, you fight angry beer spirits that have come to life as beer elementals--"Alementals"--sudsy, bubbling, etc. The final boss is a very upset spirit--Yan-zhu the Uncasked. Check out the official Blizzard trailers here and here. Shado-pan Monastery: the evil Sha have been set free and threaten the Shadow-pan's Clan's mountain retreat. Check out the official Blizzard preview here. Three new dungeons were shown out of the nine total planned in the initial release of the expansion, starting with Temple of the Jade Serpent, the first dungeon you’ll encounter while leveling from 85 to 90. In this dungeon you’ll be tasked with defeating the Sha of Doubt, one of the elemental enemies threatening the shrouded continent and sacred pandaren ways. 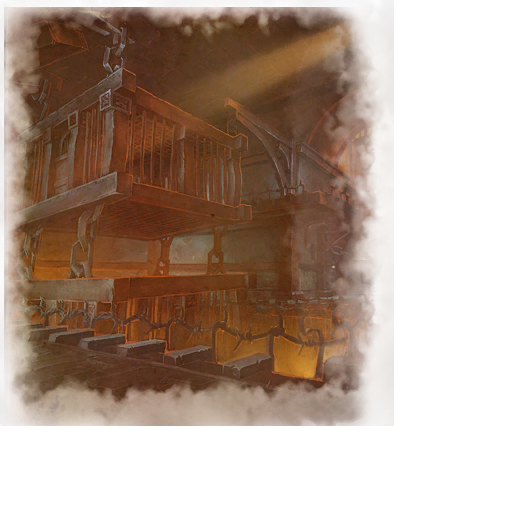 The second dungeon previewed was the Stormstout Brewery. Chen Stormstout of WarCraft III fame is a revered figure within pandaren culture, and his brewery has been overrun by the Verming and Hozu, a couple of the less-than-savory races that also inhabit Pandaria. You’re tasked with reclaiming his family heritage… and his beer. The third dungeon previewed at BlizzCon was the Shado-pan Monastery. Located in Kun-Lai Summit, this mountain retreat serves as the home and training grounds of the mysterious Shado-pan Clan, a ninja-like pandaren faction dedicated to protecting Pandaria. Again, the Sha have been set free and threaten the Shado-pan’s base of operations, and you’re tasked with dispatching them. In addition to the three new dungeons that were shown, two classic dungeon crawls are getting the Deadmines treatment and will return in level-90 Heroic fashion. While they'll still be accessible in their lower-level form for those leveling their new pandaren, both Scarlet Monastery and Scholomance will be buffed up, spit-shined, and made relevant to max-level characters with new, challenging encounters and equally high-level drops. Scholomance is returning with a more streamlined layout and the Scarlet Monastery, too big to return as one dungeon, is being split up into two wings. The Graveyard and Cathedral are being combined into one level-90 Heroic dungeon, and the Library and Armory into another. Whitemane's Chapeau for everyone! The disparity between 10s and 25s will perhaps be addressed for server firsts--some fights are easier on one raid size and that's unfair when guilds of different sizes must compete against each other. Legendaries will be harder to acquire in future raiding tiers. Possibly raid challenges and tracking in the future. Difficult to toggle hardmodes like Freya +3 Ulduar model--it's much clearer to just submit it to heroic or normal versus wait to a health percentage. However, there may be some optional-mode style bosses like Ulduar! Mogu'Shan Palace: six-boss raid--explore the hidden secrets of the Mogu empire. One of the three new raids launching with Mists of Pandaria was also unveiled: Mogu’Shan Palace. This six-boss raid is located in the Vale of Eternal Blossoms, and invites you to explore the hidden secrets of the elusive Mogu empire, one of the new indigenous Pandarian races. Pushing a big red button for Mimiron was very cool, and again is fondly remembered. We have created something like 40 raid bosses since the creation of those encounters however, and we cant help but think that it would start to feel really gimmicky and forced if every raid encounter had its difficulty set by pushing a button, (or not killing adds, or changing the order you kill the bosses, or the other mechanics we used in Ulduar). We think Mimiron would feel less special if there were six more bosses in the game with big red buttons, and we’re just not sure the design space is there to have a near infinite variety of means by which players launch a heroic mode in game. Nonetheless, because there are so many requests for those style mechanics, we are considering doing a few bosses with optional modes (in the same way Mimiron, Freya or Sartharion had them) in Mists of Pandaria. Speaking of raids, we also weren’t particularly happy with how accessible legendary items became in Cataclysm. Multiple characters in a single raiding guild were getting, and worse, expecting a legendary weapon. Legendaries are supposed to be rare and exciting, not a bar you fill up like some reputation grind, and certainly not something you feel entitled to get because it’s “your turn.” Dragonwrath in particular was usable by a large variety of class specs, which coupled with the guarantee to completion, just made them too ubiquitous. In the future, legendaries will be more legendary, perhaps so much so that not every raiding guild will have one. In that model, there might be those who almost, but not quite, complete one, but there will also be those who finish one and feel truly honored. Looking for Raid will be fully functional at the start of Mists of Pandaria, for all 14 bosses. The item you win will be “useful” in the sense that it’s potentially usable by your current spec. It won’t matter whether you killed the boss with 1 player or 25 players, and it won’t matter what the spec or class is of those players. The loot is per person and not per raid. Completing additional objectives in WoW--such as a number of daily quests--will give players a buff allowing them an additional roll (that does not impact other players). When choosing to cash in on your bonus roll, you will always win something, but it may only be gold. Players aren’t asked to roll. The game just “makes the roll” behind the scenes. The game then picks appropriate loot for each of the winners. Both Valor Points and the new bonus roll design are intended to partially offset the potential for just having really bad luck. The game randomly decides which items off of the boss's loot table drop. But if you're in Raid Finder, you are quite possibly alone with a bunch of strangers. So, if you can Need, you probably do, because there's no time for discussion, some of the rollers may be AFK, and even if you piss someone off, you aren't likely to have to pay the social cost of doing so since you'll never see them again. For each player who wins loot, the game randomly assigns them a spec-appropriate item from that boss's loot table. This subset contains only items that the game (meaning the designers in this case) thinks are appropriate for your class and current spec. Notice that you aren't rolling Need or Greed. You don't have an option to Pass. The game just says "Take this." You can't trade this item, or that would defeat the purpose of removing the social pressure on groups of strangers. If you don't want the item, you are free to vendor, delete, or disenchant it. I get the exact item or items I want. I never have to come back and kill this boss again. I politely ask Blizzard when there will be new content for me to run. Stan is a death knight. Jim Bob is a warrior. The three friends run Raid Finder together and tackle Mogu'shan Vaults. They get matched with a bunch of random folks from across their region. On the fourth boss, the Council of Kings, the game decides that Jim Bob wins an item. Jim Bob is a Fury warrior, so the game is either going to give him a two-handed Strength axe or a Strength bracer, because those are the two Fury-appropriate items on the Council of Kings loot table (in this theoretical example). Regardless of what Jim Bob wins, Stan might also win the same items. Naomi won't ever be offered those items, because they aren't appropriate hunter loot. If she had gotten lucky and earned loot for the kill, it would have been hunter appropriate. Let's say Naomi is frustrated because Bob and Stan both won loot and because the trinket she wants won't ever drop. So, she decides to use a Charm of Good Fortune. Let's say she gets lucky and the game decides that she won an item instead of gold, flasks, etc. (Thanks, game!) She might get the trinket she wants, or she might get an Agility neckpiece that is also on the Council of Kings loot table. Her winning an item doesn't affect Stan or Jim Bob or anyone else, even if they use their Charms as well. Okay, we're almost done here, but I did want to mention two other relevant changes.Area of Effect LootingYes, we em doing area looting. After killing a group of enemies, you may have a bunch of corpses lying around (perhaps because you went all Bladestorm on a bunch of hozen). If you loot one of the corpses, the loot window will include items from all of the nearby corpses for which you have loot rights. Some recent games have incorporated a similar feature, and it's one of those things that players just want in their MMO these days. It's already in and it works fine.The Future of ValorThe second change I want to mention is that we plan to adjust the role of Valor points. Valor (or the various other names that the currency has had over the years) was originally added to WoW for two reasons: it helped to mitigate really bad luck, for those times when the boss just refused to drop the item you wanted, and it helped encourage players to stay with the group even if they didn't need anything off the next boss.Over time, we have felt like Valor has taken on too prominent a role, to the point that it risks becoming more important than actual boss loot. This is particularly the case when the tier sets are available on the Valor vendors. We think killing dragons and ransacking their hoard is more epic than shopping at the magic armor store, so we want to shift back toward boss kills being the primary source of epic PvE gear.In Mists of Pandaria, Valor will be used to power a new feature that allows you to increase the item level of your existing epic items. This means that each week, you can become a little more powerful, hopefully allowing you to kill that boss that has eluded you thus far. There will be a bit of a game in trying to decide when to upgrade your gear versus hoping for a new piece to drop from a raid boss, but our plan is that even heroic gear can be upgraded slightly in this way.We won't allow you to upgrade Raid Finder gear so much that it becomes better than normal gear, but imagine if you can increase your item level by around eight points. At this time, we're thinking there won't be gear on the Valor vendors at all, but we'll see how that shakes out. Valor will come primarily from dungeons (including challenge modes) and scenarios. You might earn a little from daily quests and raiding as well, but that won't be as efficient.Final ThoughtsThat's a lot of information to absorb all at once I know, and I'm sure it will lead to dozens of questions. It'd be more helpful to us if you were to focus your discussion on how things will feel, and the basic rules of the system, instead of immediately leaping to the conclusion that you've figured out some exploit and ergo the whole thing is doomed to failure. We've stitched up a lot of the egregious loopholes already and the system is a little more complicated behind the scenes than I figured was worth getting into here.Check it out in beta if you get the chance. Let us know how it feels. We have time to iterate and refine this stuff. Good luck on getting the loot you want, too... but not too quickly.Greg "Ghostcrawler" Street is the lead systems designer of World of Warcraft. The first epic item he can recall getting was the Drillborer Disk. Zarhym also answered a bunch of questions about LFR on the forums. Click to read his replies in full. First, other players will not affect your loot in any way. Another player winning will not cause you to lose. Another player winning a mace will not mean that she took your mace. If there are many rogues in the raid, your chance of winning a rogue item is not diminished. We may decide that each player has an X% chance to get loot, or we may decide that X number of players get loot, and then randomly determine who those lucky players are. This system is a different feature from the “bonus roll.” When choosing to cash in on your bonus roll, you will always win something, but it may only be gold. If you win an item, the game again looks at your spec and only awards you an item appropriate for your current spec (using the priest example above). Finally, this loot system will only be used in Raid Finder, and possibly for world bosses. We might consider using it for Dungeon Finder depending on how it works out. However, we still like the basic design of organized groups of guilds or friends deciding who should get loot. We will also no doubt iterate and refine the system once players can try it out in beta. This sounds far too complicated for the average player. That isn’t our intent. We’re providing details here because players want to understand them. In the game, the experience will just be “You won this.” You will either be happy because it’s an item or really happy because it’s a big upgrade for you. You may be jealous of other players who won great items, but you hopefully won’t hate them since they didn’t take an item away from you. The main reason that they need to "fix" the way loot is gained is because people are too greedy/stupid and roll need on things they don't really need. There’s probably some of that, but overall it’s not strictly a problem of players being malicious or uninformed. Raid Finder just feels different from a normal or heroic raid. The experience a lot of us have in Raid Finder is an item pops up, but the raid may already be pulling the next boss, and there isn’t time or inclination to sit down and discuss who should get the item, so you just hit Need if the game lets you. Often times you don’t even realize which items you won until the run is over. We think Raid Finder is a streamlined way to raid so it needs a more streamlined loot system. Reducing loot drama among strangers isn’t a bad goal either, but it wasn’t our only concern. On that note however, if the tech is being added to determine specs and rolls in raid to that detail though, can that system at least be used to have a boss not drop rogue items for a group that has no rogue, 8 weeks straight? WTB a system that doesn't drop holy plate when you hava resto shaman and resto druid, etc. You get the idea :) Something for guild/normal mode groups to at least filter so many wasted drops that are useful to no one. Perhaps, but our concern was that if players have too much control over what loot dropped, it invites a lot of group engineering. You might be able to force the game to drop druid items if you formed a raid of nothing but druids. Both Valor Points and the new bonus roll design are intended to partially offset the potential for just having really bad luck. It also does not mean that the game will always give you an item you want or an upgrade for the items you have. one of the other big questions is since this is a random item...how is it handling duplicate items..
Boss drops Tier chest token..Bob wins it, next week boss drops same token and bob wins again...is it possible for him to get the chest token again, even though he is wearing the one from last week. Same idea but with weapons... say souldrinker, Bob wins it this week, is it possible for the loot system to give it to him again next week if he wins his roll? The new system won't have a record of your loot history or check your inventory. In your example, Bob might win the same item off of the boss every week (assuming he's running as the same spec each time). The only thing the system looks at is 1) if you are eligible for loot (have you killed this guy already this week? ), and 2) what your current spec is. so how does someone save up on gear to change spec? I mean if an arms warrior wanted to respec prot, how can he get a decent shield before respecting? I mean if all shields are tank items and since he's not tank specced, does he have to respect to tank and then get run through an instance and contribute next to nothing as a prot warrior due to not being able to use alot of key abilities and doing less damage than with his arms spec? Ideally, you would gear up through dungeons or other sources of loot and enter as main spec. One of the sources of current loot frustration is when a player who isn’t in a role earns gear for that role. We also don’t want to give DPS players a bunch of tanking items that they don’t want. In Mists, the one way you can communicate to the game what gear you want is through the role you're filling in the raid. So you can win the same item over and over? Doesn't this seem like a waste of loot? We're confident there are enough alternate means to obtain viable loot for your off spec in Mists that you'll be adequately equipped to perform in that role when you want to. There seems to be a fair amount of confusion about this system, so let me clarify some of what I'm seeing. Before jumping into it, just know we have plans to do a developer blog on Mists of Pandaria looting soon. We'd like to cover some of the larger questions/concerns in a more visible way, rather than further burying them in responses here. Will the items that we win be trade-able? You can’t trade loot if the game assigns it to you in LFR. That would defeat the whole purpose. Imagine it works like completing a quest – here is your personal, soulbound reward. If you enter with a full pre-made group, then you can use Master Looter or the loot system of your choice (just like today) and can trade items as normal. You have a personal slot machine to play, and so do each of the other 24 raid members, and no ones personal slot machine affects the outcome of anyone ELSE'S slot machine. This is correct. The only reason I offered that the game might decide how many players get loot in advance, is we thought it might be weird if sometimes 25 players or 0 players got loot -- that might feel broken to participants. However, for the sake of argument, just assume that other players won’t affect your loot. That is the whole point. It won’t matter whether you killed the boss with 1 player or 25 players, and it won’t matter what the spec or class is of those players. The loot is per person and not per raid. If you are in a 25-player group, can people "pass" and increase the chance that other players will win, by reducing the number of people rolling in the group? What's going to happen with bows? In Mists of Pandaria, bows, crossbows and guns would be considered hunter-appropriate weapons. In LFR, a rogue or warrior would never be offered a bow as a loot reward. Rogues and warriors will still be able to equip ranged weapons, but they would be very sub-optimal for doing so (sort of the equivalent of a warrior wearing cloth). We left the ability to equip weapons for role-playing reasons and because some existing rogues and warriors have epic or legendary ranged weapons, and it would be mean if they could no longer equip them at all. The new system is more different than that. Players aren’t asked to roll. The game just “makes the roll” behind the scenes. The game then picks appropriate loot for each of the winners. This is an important distinction because you aren’t competing with other players for specific items – all of the Arms and Fury warriors could win the two-handed Strength sword, or two could win the sword and the third could win a plate Strength helm, if that were also on the boss loot table. Can't you guys just make the obvious: Make all the drop items unique? Sure, we could do that, but it seems like all you are really asking for is for the loot system to be more efficient so that you have to run the raid fewer times to get the items you want (since you won’t “waste” a roll on a duplicate item). If we need for raiding to be more loot-efficient, there are many ways to do that, but we don’t want players to gear up too quickly or they run out of things to do. (We also don’t want them to gear up so slowly that they could lose interest.) Also consider that some players may want more than one copy of the same item for different spec or gemming purposes. This still doesn't really address the problem of people rolling when they really don't need anything. What if those top 4 or 5 rollers all don't need anything off the boss and just receive gold? Completely unfair to the other 20 people who could have made use of the boss drops. There is no roll like you are describing. A boss dies, and some players in the game will receive loot. They don’t have an option to pass or to get gold instead. But that’s okay, because what they do won’t affect what happens to you. Imagine everyone entering the raid gets a lottery scratch off card for each boss, and after a boss dies, everyone scratches off a card. Some players win. Some don’t. The game then pushes loot to the winners. Then you kill the next boss and scratch off another card. This just seems like a waste of time and energy. There has to be a better way of making it fair. I don't have a problem with someone winning a role if they can use the item even if it is offspec. I just don't like people being inconsiderate and rolling need when they don't need it or already have it. We don’t think it’s reasonable to expect a group of strangers who may never play together again to be considerate, especially at the pace at which most Raid Finder groups progress. Often, there is barely time to hit Need or Pass, let alone have a discussion about who gets what loot. The goal of the system isn’t really to be “more fair,” but to make a more streamlined system to match the fast pace of Raid Finder, and to cut down on the number of arguments over loot, because the game will now be making all the decisions about who gets which item instead of the players. Life may still feel unfair sometimes, in that a player who contributed less than you wins a good item, or the player running the raid for the first time gets an item that you spent weeks to get, or someone may have six trinkets to your one. We still want random loot to be random, though the bonus roll system will help a little with being terminally unlucky. If you have additional questions or concerns we haven't already addressed here, feel free to bring them up in this thread. We'll take your posts into consideration when crafting the developer blog. As you'd expect, it looks like mounts and 5-man achievements will be in-game at the expansion's launch. In addition, most titles from achievements will be BoA--your alts can wear titles once they reach the minimum level needed to kill the boss/acquire the achievement. However, realm-first titles will probably not be BoA. Respect: Bow to the Shadowpan Initiates when they bow to you after being defeated, but before they fully heal during the Master Snowdrift event. Bomberman: Trigger 15 explosions within 15 seconds during the Saboteur Kip'tilak encounter on Heroic Difficulty. Cleaning Up: Defeat the Sha of Doubt in Temple of the Jade Serpent while under the effects of Purified Water. Conscriptinator: Gain three stacks of Resin Residue by defeating Mantid Conscripts. Glintrok N' Roll: Defeat Gekkan and his Glintrok entourage in Mogu'shan Palace on Heroic difficulty within 5 minutes of being spotted by the Glintrok Scout. Hate Leads to Suffering: Defeat Taran Zhu while every party member is at maximum hatred in Shado-pan Monastery on Heroic Difficulty. Heroic: Shado-Pan Monastery: Defeat Taran-Zhu in Shado-pan Monastery on Heroic Difficulty. Heroic: Stormstout Brewery: Defeat Yan-Zhu the Uncasked in Stormstout Brewery on Heroic Difficulty. How Did He Get Up There? : Find a way to get the Hozen Clinger to let go in Stormstout Brewery on any difficulty. Hopocalypse Now! : Smash 100 vermen with a single hammer swing in Stormstout Brewery on Heroic Difficulty. Keep Rollin' Rollin' Rollin': Kill Ook-Ook after assaulting him with 20 Rolling Brew Barrels in Stormstout Brewery on Heroic Difficulty. Ling-Ting's Herbal Journey: Collect all 30 Golden Hoplings hidden around the Stormstout Brewery on any difficulty. Mosh Pit: Get a combination of 8 players and Scarlet Defenders caught up in Armsmaster Harlan's Blades of Light on Heroic Difficulty. Hydrophobia: Defeat Wise Mari without touching Corrupted Water in Temple of the Jade Serpent on any difficulty. Rattle No More: Defeat Rattlegore without allowing him to gain more than 5 stacks of Rusting in Scholomance on Heroic Difficulty. Return to Sender: Defeat Mantid General while he has 20 stacks of Detonate in the Siege of Niuzao Temple on Heroic Difficulty. Sanguinarian: Defeat a Krastinovian Carver that has 99 stacks of Boiling Bloodthirst in Scholomance on Heroic Difficulty. Shado-Pan Monastery: Defeat Taran-Zhu in Shado-pan Monastery. Show Me Your Moves! : Defeat the Terracotta Army in Mogu'shan Vaults on Normal or Heroic difficulty without any member of the raid being hit by Devastating Arc, Stomp or Energizing Smash. : Defeat Lilian Voss without allowing Lilian's Soul to reach 24% health in Scholomance on Heroic Difficulty. Stormstout Brewery: Defeat Yan-Zhu the Uncasked in Stormstout Brewery. The Obvious Solution: Eliminate the remaining Sha imprisoned in the Sealed Chambers and then defeat the Sha of Violence in Shado-pan Monastery on Heroic Difficulty. : Take a ride with Armsmaster Harlan's Blades of Light for at least 10 seconds and live to tell the tale on Heroic Difficulty. Challenge Conqueror: Silver: Achieve a Silver Challenge in every Mists of Pandaria dungeon. Guardians of Mogu'shan: Defeat the bosses in Mogu'shan Vaults. Settle Down, Bro: Defeat the Sha of Anger in Kun-Lai Summit. Familiar faces like Janice Barov and Rattlegore are back with updated mechanics, but some other bosses like Ras Frostwhisper and the six-minibosses that dropped armor sets are removed. Plus, fan-favorite Lilian Voss is seeking revenge on Darkmaster Gandling, who taunts her throughout the instance. All NPCs models are updated as well to show off new Forsaken models created in Wrath. Heroic loot drops found here. You also get a potion that lasts sixty minutes upon drinking that turns you into Professor Slate's model. Instructor Chillheart: A lich in the reworked first room, two-part fight. After fighting his soul, he retreats into the phylactery and summons hostile books and explosions. Janice Barov: Now in the second large room, instead of the crypts. She periodically vanishes and summons shadowy versions of herself around the room--before, she summoned many more duplicate copies in close range. Rattlegore: Rattlegore is no longer located in the basement. Instead, he spawns after you defeat piles of skeletons and watch a dialogue between Darkmaster Gandling and Lilian Voss. He casts Bone Spike which players can protect themselves from by clicking on piles of bones around the room for a buff. Doctor Theolen Krastinov: He is probably back--there's a room full of Krastanovian Carvers and Flesh Horrors. However, these mobs were bugged and healed to full every minute, so that room was left untouched. Lilian Voss: Gandling tries to bend her will--you put her out of her misery. If you damage her quickly enough, she will regain strength and end the encounter by significantly wounding Gandling. If not, her dark side will spawn and drain health from her. Professor Slate: He's the potion master in the reworked classroom, in front of Bored Students! Turns into a Flesh Horror halfway through the encounter. Darkmaster Gandling: In theory, he should port you to the various mini-boss rooms, but this encounter didn't look finished yet. The spell effects are amazing though. If you're interested in the matching armor sets for transmog--better do it now. It looks like those six mini-bosses are removed. The art has been tweaked to be even creepier in this version of Scholomance--eerie ghostly faces appear on the walls, fel green candelabras, fancier spell effects. The Viewing Room is like a real classroom now, with bored students, desks, creepy picture, and potions. The instance is more compact now--no special basement areas for Rattlegore, Jandice, and Ras Frostwhisper now. Darkmaster Gandling says: My dear, it appears we have visitors! Friends of yours, Voss? Lilian Voss: You there! Make yourselves useful and deal with these summoners! Darkmaster Gandling says: Their deaths only serve to empower my summons further! Behold! Darkmaster Gandling says: What's the matter, Voss, getting tired? Lilian Voss says: I'll never stop hunting your kind, necromancer. NEVER. Darkmaster Gandling: You, too, are beautiful, Voss. Have you looked in a mirror recently? Darkmaster Gandling: My dear, you should embrace this gift that has been bestowed upon you. Lilian Voss says: I will not let you curse another soul with this nightmare. Lilian Voss says: Run...necromancer..your life ends once I catch my breath. Darkmaster Gandling says: Come, Voss, your fate awaits you. Darkmaster Gandling yells: Did you forget, girl? I am the darkmaster! I command the undead! Lilian Voss yells: I...won't let you..nnggaaaahhh!! Darkmaster Gandling yells: Now turn your lovely runeblades on our guests, and fetch me their bones! Darkmaster Gandling says: I can feel her will breaking...her soul burns so brightly. Darkmaster Gandlight says: Now, Lilian, it is time for your transformation. Lilian Voss yells: END IT! NOW! Before he can...NNNNHHHHAAHHHHHH! Darkmaster Gandling yells: YOUR SOUL IS MINE! Lilian Voss yells: DIE, NECROMANCER! Darkmaster Gandling yells: The bones! You wretch! Instructor Chillheart summons a wave of ice that slowly sweeps across the room, inflicting 50000 Frost damage every second to all players within the wave. Instructor Chillheart shatters the soul of a player, inflicting 10000 Shadow damage every second for 10 sec. When Wrack Soul expires, it jumps to another player. Instructor Chillheart wreaths a player in ice for 10 sec, causing them to inflict 149 Frost damage to all of their allies within 2.5 yards every second. Instructor Chillheart's icy touch cause her next 10 melee attacks to inflict an additional 299 Frost damage. Instructor Chillheart launches a bolt of Frost at a player, inflicting 249 Frost damage and reducing their movement speed by 30% for 10 sec. When Instructor Chillheart's physical body dies, the foul magic that animated her escapes back to her phylactery. Fragments of Instructor Chillheart's soul escape the phylactery and animate the tomes of magic scattered throughout the classroom. The Anachist Arcanist creates an orb of magic that explodes on impact, inflicting 249 Arcane damage to all players within 2 yards. Antonidas' Self Help Guide to Standing in Fire inflicts 249 Fire damage to all players within 2 yards of it. Wander's Colossal Book of Shadow Puppets hurls bolts of dark magic at players, inflicting 249 Shadow damage. After years of being ignored in the basement of Scholomance, Jandice has returned. She has been doing quite a bit of study in the field of Arcana. Jandice rears her staff back with a flash of wondrous Arcane force, unleashing a barrage of attacks that inflict 300 Arcane damage in a cone in front of her. Jandice creates a gravity distortion field that inflicts 600 Shadow damage to all enemies who enter it, knocking them back and causing them to briefly go blind. At 66% and 33% health Jandice will dissipate into thin air, creating multiple illusions of herself. Destroying the illusion behind which Jandice hides will force her back into the fray. (25 Normal) In Heroic difficulty, defeating the wrong image will cause a Flash Bang, inflicting 49 Arcane damage to all enemies. Whereas Jandice hides behind images of herself, the real Jandice will dance in a Whirl of Illusion, inflicting 99 Arcane damage to all enemies every 1 seconds. Rattlegore's dull blades rust with each successful melee attack, increasing damage by 5% but lowering attack speed by 5% and movement speed by 5%. Stacks up to 99 times and lasts for 15 sec. Launches a powerful spike of bone at a random player, inflicting 600 Physical damage and knocking them back a great distance. Bone Spikes can be absorbed by Bone Armor. The souls of the dead Boneweavers continue to torment the living, periodically engulfing a section of the room in Soulflame. Inflicts 20000 Fire damage every 0.5 seconds and grows in size over time. Bone Pile Bone Piles are scattered throughout the summoning room. Interacting with a Bone Pile grants a player two charges of Bone Armor. Surrounds the caster with a series of whirling bones that absorbs the next bone spell. Two charges. Stage 1: Fetch Me Their Bones! Darkmaster Gandling turns Lilian Voss against her former allies, employing her powerful abilities to gather more corpses for his devious purposes. Lilian Voss Lilian Voss has fallen under the control of Darkmaster Gandling. Though she tries to fight against his dark will, she cannot control her actions at this time. Lilian leaps onto a player and strikes them with both runeblades, inflicting 600 Shadow damage to players within 8 yards. Lilian draws upon dark powers to pull all players to her location. Periodically summons a patch of dark fire at the player's location, inflicting 100 Fire damage every 0.5 seconds. Stage 2: Your Soul is Mine! When Lilian's health reaches 50%, her will breaks, allowing Darkmaster Gandling complete freedom to rip her soul from her physical body. Lilian's Soul Lilian's immortal soul, torn from her body and filled with anguish. Though it can be damaged, her soul refuses to completely leave this world. Lilian's soul blazes with barely-contained hatred, periodically inflicting 15000 Fire damage to all players. Lilian's anguish is further unleashed when striking players in melee. For every melee strike, Lilian will unleash another barrage of Blazing Soul. However, the movement speed of Lilian's Soul is significantly reduced. Lilian's Soul fixates on a player. She will only attempt to attack that player and cannot be taunted. When Lilian's Soul reaches 25% health, Darkmaster Gandling reanimates what remains of Lilian's physical body. When Lilian's physical body reaches 1% health, she musters the strength to recombine with her soul for a final assault on Gandling. Gandling deals 349 Fire damage to his target. Gandling burns an enemy for 150 Fire damage, then inflicts 99 additional Fire damage every 3 sec. for 21 sec. Darkmaster Gandling teleports a random player to one of his study rooms for a harsh lesson! Gandling summons a legion of Failed Students to fight for him. The students swarm the area, fighting anything they can. While channelling this spell, the Darkmaster takes 50% less damage. Failed Student The Darkmaster raises the bodies of students he's failed to attack players. Expired Test Subject The Darkmaster keeps these former test subjects in the nearby rooms. They attack anyone who enters their rooms. Fresh Test Subject The Darkmaster keeps these subjects alive in the nearby rooms for testing. Each is afflicted by Explosive Pain. Inflicts excruciating pain and explodes when dispelled, inflicting 300 Shadow damage to Expired Test Subjects within 8 yards. Those poor Troggs. What did they do to anyone? I mean, besides killing and maiming low level Horde players? In short, Ragefire Chasm is redone. Trogg corpses litter the molten floors of the instance--they aren't the enemies anymore. Instead it's a new cult, former members of the Horde called the Dark Shaman. Garrosh has ordered you to clear out Ragefire before they can become another Twilight's Hammer and it's a pretty obvious lore point calling to Garrosh's eventual overthrow. He was, after all, revealed to be the final "boss" of Mists of Pandaria. New quests from the redesigned Ragefire Chasm, in which former members of the Horde form the cult of the Dark Shaman. The Scarlet Crusade is having a war and they're losing it pretty badly in the remnants of what many players referred to as the Graveyard side. Undead pour in and corpses burn in large, decaying piles throughout the somber scene. The area has also been pruned of Interrogator Vishas and his torture scene as well as trash mobs. This is now part of Scarlet Cathedral. It transitions seamlessly into where the Cathedral area was. High Inquisitor Whitemane is there and the encounter is similar to what it was before, with the exception that Scarlet Commander Mograine is replaced by General Durand. Meanwhile, the Library side is gone and has instead merged with the Scarlet Armory. It is now called the Scarlet Halls. Chained mastiffs attack you and archers wait at the ready to snipe you. You have to pick up a practice target and use it as a shield, deflecting the wave of arrows that follow. Both bosses Houndmaster Loksey and Herod have been replaced with newer NPCs that keep their looks but are different characters. After you make it through the Armory portion, instead of ending, it continues on to what was the end of the Library. Mobs drop gold piles you can loot for extra gold. At the end, you fight Flameweaver Koegler--a replacement for Arcanist Doan. High Inquisitor Whitemane is there and the encounter is similar to what it was before, with the exception that Scarlet Commander Mograine is replaced by General Durand. Deals 400 Fire damage and knocks the target back. Deals 25% weapon damage as Fire damage with every attack. Deals 50 Fire damage to all enemies within 7 yards. Brother Korlof deals 10% increased Fire damage for every 10% of damage he has sustained. At 50% health remaining Brother Korlof leaves a trail of fire which inflicts 99 Fire damage every 1 sec. Commander Durand ramdoly charges his enemies dealing 200 Physical damage. Commander Duand quickly dashes through his enemies dealing 200 Physical damage to all emenies in his path. Wraps an ally in a shield that lasts up to 30 sec., absorbing damage. While the shield holds, spells will not be interrupted damage. Smites an enemy, inflicting 299 Holy damage. High Inquisitor Whitemane resurrects all fallen Scarlet within 100 yards to come to her aid. Thalos begins to raise the fallen soldiers of the Argent Crusade, summoning a Fallen Crusader every 1 sec for 5 sec. Fallen Crusader Fallen Crusaders bodies remain after being defeated. Inflicts 74 Shadow damage every 2 sec for 6 sec. Stacks. The Spirit Gale inflicts 1000 Shadow damage and creates a Spirit Gale at the location that inflicts 149 Shadow damage every 1 sec. Inflicts 1000 Shadow damage every 3 sec for 6 sec. Every time Evict Soul deals damage it creates an Evicted Soul of the target. Evicted Souls will attack the closest target to them that did not create it. Evicted Soul The Evicted Soul's attacks inflict $s1153921 Shadow damage to enemies within 6 yards of his target. Thalnos begins to create Empowering Spirits. The Spirit will attempt to inhabit the body of the closest Fallen Crusader, creating an Empowered Zombie. Empowering Spirit Empowring Spirits will attempt to inhabit the body of the closest Fallen Crusader, creating an Empowered Zombie. Empowered Zombie Empowered Zombies are powerful creatures that are not easily destroyed, but are vulnerable to crowd control effect. The instanced version of the Temple of the Jade Serpent looks practically identical to the outdoor quest version--except it's been corrupted by the Sha. The library and water wings are accessible, as is the central area where questgivers and monks trained formerly. After questing through The Jade Forest, it's intriguing to find out how the temple ended up in such a state. Corrupted Living Water elementals scatter the hallway by the Fountain of the Overseeing, along with dead Jinyu. When they die, they leave a harmful pool with Sha Residue and spawn Corrupted Droplets. Phase 1: Wise Mari is encased in a Water Bubble and cannot be attacked. The boss periodically casts Hydrolance which churns up the corrupted waters, and Call Water summons Living Water Elementals. After four have died, the fight moves onto phase 2. Phase 2: Bubble Burst is cast on the transition, knocking all players away. Phase 2 cannot be tanked, as the boss keeps rotating with Wash Away, similar to The Lurker Below's Geyser. Throughout the fight, standing in the water is bad: you'll suffer from Corrupted Waters. Upon defeat, Wise Mari is purified, returning to its original form with its treasured staff. Lorewalker Stonestep's sacred library has been taken over by the Sha, who are destroying the lore of the Pandaren. The trash is named after references to Chinese New Year folktales--The Twin Jugglers, The Talking Fish, etc. A Corrupted Scroll has been infested by the Sha in the center of the library. Upon killing it, you have a chance to get one of two scenarios, Zao Sunseeker or the Yaungol. The Zao Sunseeker one is as follows: "According to the legend, long ago, there were five suns that burned brightly in the sky. When the winds blew, their intense heat caused great wildfires. Crops wilted, villages burned, and families wandered endlessly to seek refuge from the flames..."
Unfortunately, this brings the story to life as well as the protagonist, Zao Sunseeker, and your party must defeat the five suns, which then turn into Sha and corrupt Zao. Lorewalker Stonestep begs you to fight him with dignity. Phase 1: The Suns will cast Sunfire Rays, and when killed, will Extract Sha. Phase 2: When all Suns and Haunted Sha have been defeated, Zao Sunseeker will become corrupted and quickly continually fire Hellfire Arrows. None of my run-throughs spawns the Yaungol encounter, but it seems the Yaungol must balance conflicting emotions of strife and anger--ignoring one aspect will lead to additional debuffs: Agony, Intensity, Dissipation. Either path you take will bring you back to the central courtyard, which has three groups of trash: a Minion of Doubt which casts and Shattered Resolve, surrounded by spawns and friendly Serpent Warriors fighting them. Dragon Dance: Serpent Strike, , Serpent Wave. Jade Dragon Dance: Jade Serpent Strike, , Jade Serpent Wave. The Jade Serpent: In the last phase, she gains Jade Essence, which turns her into a serpent that casts Jade Fire. Quotes: Serpent Warrior: They are too Strong! We can never defeat the Sha! Run while you still can! The Jade Serpent has abandoned us! Liu Flameheart: Your forces are weak! The heart of the Great Serpent will not fall into your hands. Jade Serpent grant me strength! The cycle must continue, the Jade Serpent must be reborn! The Sha of Doubt periodically casts Wither Will and Touch of Nothingness on random enemies. Every 30 sec or so, the Sha casts Figment of Doubt on the party. This summons shadowy apparitions that must be killed before Gathering Doubt completely infuses. Phase 1: "Still waters, rise up!" Wise Mari shields himself and uses the corrupt waters of the fountain to assault players. The fountain's corrupted water churns and bubbles, inflicting 5000 Shadow damage every 0.25 seconds. Wise Mari creates a large water bubble around himself, making him immune to damage and knocking back players that touch the bubble. Wise Maru directs the fountain's corrupted waters to attack the players, inflicting 20000 damage as it ripples, and 30000 damage when it explodes. Wise Mari summons a Corrupt Living Water in one of the four smaller fountains to attack the players. Corrupt Living Water Bound by Wise Mari's control, the Corrupt Living Water comes to life. attacking nearby players. Corrupt Droplet When a Corrupt Living Water is defeated it splits into four Corrupt Droplets. Corrupt Droplets attack nearby players. When a Corrupt Living Water is defeated it creates a puddle of Sha Residue at its location. Sha Residue inflicts 10000 Frost damage every second to all players within in the puddle. Phase 2: "Behold the power of torrential waters!" When four Corrupt Living Water are killed, Wise Mari unleashes all of his power, washing away all who stand in his way. Wise Mari bursts his protective bubble, inflicting 10000 Frost damage and knocking back all enemies within 5 yards. Wise Mari channels into the water, creating an endless spout of water in front of him that inflicts 60000 damage and knocks back all players. The sha have infested the library of the Temple of the Jade Serpent. They have taken form of the various characters of Pandaren lore. You must defeat them in order to bring peace to the ancient library. A young Yongol is faced with his own Strife and Anger. He must find a balance of the two to set his soul free. Pain and Strife arc through the enemy's mind inflicting 30000 Shadow damage. Focusing your attacks on either Strife or Anger will feed the entity, causing it to inflict 3499 Fire damage to all surrounding enemies and increase all damage dealt by 10% per application. Upon reaching 10 stacks, this entity will gain Ultimate Power - gaining immunity to all damaging effects for 15 sec. Ignoring Strife or Anger will starvethe entity, causing it to slowly dissipate to nothingness. Damage dealt is reduced by 10% per application. The intense heat of the sun burns a random enemy target for10000 Fire damage. Extinguishing a sun will extract the Sha from its victim. Haunting Sha These sha haunt the Temple of the Jade Serpent. The Haunting Sha gazes into their victim's soul, inflicting 25000 Shadow damage. The manifesting Sha have now possessed Zao Sunseeker! You must cleanse him of his corruption! Zao shoots madly at his perceived enemies, inflicting 30000 Fire damage to random enemies. Liu Flameheart rapidly assaults players with three Dragon martial arts attacks. Liu Flameheart strikes her target, inflicting 25000 Fire damage and an additional 28000 Fire damage over 8 sec. Immediately following a Dragon Strike, Liu Flameheart performs a Dragon Kick, inflicting 30000 Fire damage to all players within 8 yards. The force of Liu Flameheart's Dragon Kick creates three waves of fire around her which move out from her. Dragon Waves inflict 25000 damage to all players they impact. When Liu Flameheart reaches 70% remaining health, she channels the essence of the Jade Serpent to aid her in battle, granting each of her attacks an additional effect. Liu Flameheart strikes her target, inflicting 25000 Fire damage and an additional 28000 Fire damage over 8 sec. In addition, Jade Dragon Strike absorbs up to 40000 healing received by the target. Immediately following a Jade Dragon Strike, Liu Flameheart performs a Jade Dragon Kick, inflicting 30000 Fire damage and knocks all players within 8 yards back. The force of Liu Flameheart's Jade Dragon Kick creates three waves of Fire around her which move out from her. Jade Dragon Waves inflict 25000 damage to all players they impact and leave a trail of Fire in their wake. When Liu Flameheart reaches 30% remaining health, she enters a trance, making herself invulnerable and summoning the spirit of Yu'lon to defend her in battle. Yu'loan breaths a ball of flames at a player, creating a pool of Jade Fire at their location. Jade Fire inflicts 25000 Fire damage every second to all players within in the flames. Shama shama shama shama shama shameleon! The Sha of Doubt withers the will of 2 random enemies, inflicting 30000 Shadow damage directly to their soul. The Sha of Doubt seeps profound sense of nothingness into the minds of a random enemy, causing it to periodically inflict 25000 Shadow damage to nearby allies every 2 seconds. Figments of Doubt The Sha of Doubt forces all enemies to face their own doubt. The Figment of Doubt siphons from its source. When completely infused this unit will explode, dealing 25000 Shadow damage and healing the Sha of Doubt for 10% of its life. These dungeons and raids were not able to be tested on live yet, but we were able to datamine select fights from the Encounter Journal. Strike Ga'dok charges a nearby enemy and devours them, inflicting 30000 Physical damage every sec for 5 secs. Impales the target dealing 50% of the targets health. Upon reaching 70% and 30% health Striker Ga'dok strafes the platform with fire bombs which deal 15000 Fire damage a sec to enemies caught in them. Mantid Disruptor Continuously bombards the platform with acid bombs. Mantid Fliers periodically bombard the platform with acid bombs which deal 15000 Nature damage a sec. to enemies caught within them. Mantid Striker Attacks players on the platform during Striker Ga'dok's strafe runs. Commander Ri'mok periodically exudes a viscos fluid which will increase Commander Ri'mok's damage by 10% and reduces damage dealt by players standing in it by 10% per sec. to a max of 50%. Deals 50% weapon damage to all targets within 9 yards every 0.25 seconds for until cancelled. Mantid Swarmer Waves of reinforcements continuously scale the wall to aid Commander Ri'mok. Mantid Saboteur Every 45 secs a Mantid Saboteur will join the battle. The Mantid Saboteur throws vollies of bombs that deals 30000 Fire damage to all enemies within 40 yards. Saboteur Kip'tilak picks a random location in the room and throws a pack of Stable Munitions there. Stable Munitions These materials are stable and won't explode unless they are hit by another explosion. When Stable Munitions are hit by explosions from other exploding Stable Munitions or Sabotaged players, they explode in the four cardinal directions. Saboteur Kip'tilak picks a player at random and attaches four explosives to their back. When Sabotage expires, the charges explode in the four cardinal directions. Once at 60% and once again at 30% health remaining, Saboteur Kip'tilak will rapidly throw five sets of Stable Munitions on the ground at random locations. Once complete, Saboteur Kip'tilak will cause these Stable Munitions to explode. Raigonn has burst through the outer gate, and is now attempting to ram through the inner gate! He must be stopped by destroying his weak spot. Damage deal to Raigonn is reduced by 99% until his Vulnerability has been destroyed. Raigonn has an exposed vulnerability, allowing players to ride on his head and attack it! Once destroyed, Raigonn's Carapace will be destroyed. Raigonn charges towards the inner door, the impact of the Headbutt inflicts 50000 Physical damage to enemies within 10 yards. Additionally impacting the door will throw all enemies on Raigonn's Vulnerability to the ground. Hive Protectorate Eight Hive Protectorate join the fight from beyond the wall. At 50% Health the Hive Protectorate casts Hive Mind, increasing attack speed of nearby Hive Protectorate by 50%. Engulfing Mantid Three Engulfing Mantid fly above, casting Engulfing Winds. The Engulfing Winds create a tonado at the location and inflicts 15000 Nature damage to enemies within 3 yards and an additional 15000 Nature damage every 1 sec. Swarm Bringer A Swarm Bringer joins the battle, inflicting Screeching Swarm. The Screeching Swarm absorbs 15000 healing and inflicts 15000 Shadow damage every 1 sec. The Swarm will detach from its host after 10 sec. The Swarm inflicts 5000 damage every 0 to enemies within 20 yards. The Mantid Carapace has been broken, increasing damage taken by 300%. Raigonn fixates on a target, the target is so terrified they move 75% faster. Raigonn stomps, inflicting 25000 Physical damage and becoming more frenzied. Raigonn enters a frenzy, increasing damage dealt by 25%, stacking every time he Stomps. Pandaren Bowmen The Pandaren Bowmen on the high walls above are assisting you! Movement speed reduced by 50% of anyone in the Tar. Seething anger inflicts 80000 Shadow damage and increases Shadow damage taken by the player by 10% for 10 sec. Only used if no players are within melee range. The anger brought by the Alliance and Horde to Pandaria flows through the Sha of Anger, erupting forth as a shower of Sha energy. Each missile inflicts 100000 Shadow damage to players within 3 yards of the impact point and summons forth an Ire and a cloud of Bitter Thoughts. A cloud of dark thoughts that prevents attacking and spell-casting for all players within 3 yards. Lasts for 70 seconds. Ire A manifestation of anger summoned by the Sha of Anger's Endless Rage. The Sha of Anger's rage grows over 50 seconds. The Sha of Anger infects 3 players with angry thoughts. After 6 sec, infected players will display Aggressive Behavior. The player erupts with anger, causing the player and all allies within 5 yards to fall under the control of the Sha of Anger for 30 sec. Increases damage dealt by 200% and maximum health by 5004%. Aggressive Behavior is removed if the player falls below 5006% health. Upon reaching 100 rage, the Sha of Anger unleashes its wrath upon its enemies. This phase lasts until the Sha of Anger's rage reaches 0. The Sha of Anger unleashes pent-up rage for 25 sec. Inflicts 60000 Shadow damage to 10 random targets every 2 seconds. Each Clan Leader will challenge you in turn. Defeat all three to proceed. Gurthan Chief Clan Gurthan favors the use of fist weapons and prizes their Quilin companions. Mu'Shiba Mu'Shiba is the Gurthan Chief's loyal companion and will cease fighting after he is defeated. Mu'Shiba selects a random player other than his current target and tackles him to the ground. Pinja inflicts phyiscal damage every second for 11 sec. Defeate Mu'Shiba to end this effect early. The Gurthan Chief sends a shockwave along the ground in front of him. All targets hit by the shockwave are launched into the air and will take falling damage. Harthak Chief The Harthak are masters of wind and lightning based magic. The Harthak Chief summons a Whirling Dervish nearby. The Whirling Dervish will move about the arena randomly and throw nearby creatures around the room, inflicting physical Damage. The Harthak Chief spins in place very quickly, creating a Hurricane that pulls nearby creatures into its vortex. Creatures in the vortex suffer physical Damage. The Harthak Chief inflicts Nature Damage to his current target. Korgesh Chief The Korgesh are strong warriors who favor large weapons and fire magic. The Korgesh Chief inflicts Fire Damage on a random player. While Conflagrated, the victim suffers Fire Damage every second and is Disoriented. When Conflagrate ends it passes to any creature nearby. The Korgesh Chief hurls a fiery boulder at a random player. When the meteor lands it deals a large amount of Fire Damage divided evenly among all in the area of effect. The Korgesh Chief inflicts a large amount of physical Damage to his current target. The victim receives -50% less healing for the next 5 sec. Gekkan Leader of the Glintrok clan, Gekkan is an expert at rallying his subordinates and never travels without an entourage. Gekkan inspires one of his subordinates, increasing haste by 25% and rendering them immune to many crowd-control effects, but also increasing damage taken by 25%. On death, Gekkan utters a final rallying cry, granting Reckless Inspiration to all remaining members of his entourage. Reduces the damage taken by allies within 5 yards by 50%. Shanks an enemy, inflicting 150% weapon damage and stunning the target for 5 sec. Heals all allies within 60 yards for 300000. Hexes the target, inflicting 50000 Shadow damage and reducing spell-casting speed by 25% for 20 sec. Stacks up to 4 times. Mogu'shan Palace is only available in Heroic Difficulty. Xin inflicts 150000 Physical damage and decreases Armor by 25% for 20 sec to enemies in a 30 yard cone in front of him. Stacks. Xin animates the axes in his arsenal. These axes inflict25000 Physical damage to enemies within 6 yards, knocking them back. At 75% life, Xin activates his sword traps. The stream of blades inflict 50000 Physical damage every 0.5 seconds to those caught in the path. At 50% health, Xin animates a staff from his arsenal. This staff circles a random enemy in flame, detonating once the circle is complete. The explosion inflicts 150000 Fire damage and knocks enemies into the air. At 25% health, Xin activates every last weapon in his arsenal. The mounted crossbows on the wall inflict 1000 Physical damage every 1 second to a random enemy. Hoovering the Sap for Generation Future. The Sap Puddle grows over time, inflicting 4000 Shadow damage over 1 sec to enemies who touch it. Touching the Sap Puddle causes it to shrink in size. Touching the Sap Puddle causes the Residue to attach. Sap Residue inflicts 4000 Shadow damage over 1 sec. The effect stacks. Summons three Sap Globules from the tree. Sap Globules will try to congeal with the Sap Puddle, increasing its size. The Resin Harvester attempts to detonate the Sap Puddle, inflicting damage based on the size of the Sap Puddle. General Pa'valak sends a wave of force at a player, inflicting 10000 Physical damage to all players in a 60 yard cone in front of the Mantid General, stunning them for 4 sec. General Pa'valak unleashes a tempest, inflicting 10000 Nature damage to all players within 60 yards. In addition, targets will absorb up to 10000 healing. When General Pa'valak reaches 65% and 35% remaining health, he shields himself in a Bulwark and summons reinforcements. General Pa'valak surrounds himself in a shield, absorbing 1000000 damage. General Pa'valak summons Mantid Sappers to bomb players. Mantid Sappers drop Siege Explosives that arm themselves after 3 seconds and then explodes for 200000 Fire damage 3 seconds after arming. In addition, players hit by the explosion will take 5% additional damage for 15 sec. This effect stacks. Players may attempt to throw Siege Explosives back at enemy Matid before they arm. Thrown Explosives inflict 200000 Fire damage to all Mantid within 7 yards of the targeted area and increase their damage taken by 5% for 90 sec. This effect stacks. General Pa'valak summons waves of Mantid Soldiers to defend him in battle. Mantid Soldiers puncture a player, inflicting 5000 Physical damage every 3 seconds for 12 sec. This effect stacks. Siege of Niuzao Temple is only available on Heroic Difficulty. At 90%, 60%, and 30% health remaining, Ook-Ook goes bananas! Increases attack speed by 15% and damage dealt by 15%. Stacks up to 3 times. In addition, this causes a wave of Rolling Barrels. Ook-Ook pounds the ground every 1 seconds for 3 sec, inflicting 20000 Physical damage to all enemies within a 45-degree cone and stunning them for 2 sec. Rolling Barrel Ook-Ook's entourage periodically throw Rolling Barrels, which roll across the room until they hit a wall, player, or Ook-Ook himself. At 90%, 60% and 30% health remaining, the barrels are thrown more often. Rolling Barrels inflict 50000 Physical damage to players and 10000 Physical damage to Ook-Ook and increase damage taken by 10% for 15 sec. Hoptallus slowly turns in a circle spewing vile carrot juices. Inflicts 30000 Physical damage and knocks targets back in a 20-degree cone in front of Hoptallus. Hoptallus spins in a rapid circle. Inflicts 30000 damage every 1 seconds to surrounding units and knocks them back, but slows movement speed by 70%. Hoptallus will periodically emit a shrill cry, calling for aid from Hoplings, Hoppers, and Bouncers. Hopling The tiniest Vermen, Hoplings do little more than hop around and bite things! Hopper Hoppers are larger Vermen that carry a barrel of explosive brew in their mouths. If a Hopper reaches its target, it will hop madly before exploding. Inflicts 30000 Fire damage to enemies within 10 yards and knocks them down. Bopper Boppers are larger Vermen and carry a heavy hammer. Big Ol' Hammer When Boppers die, they drop their Big Ol' Hammers. A hammer can be picked up to gain three charges of the Smash! ability. Slam the Big Ol' Hammer into the ground, destroying all Hoppers and Hoplings within 6 yards and dealing heavy damage to Boppers. If there are no players near Yan-Zhu, he will begin casting Brew Bolts. Inflicts 30000 Frost damage and increases magic damage taken by the target for 6 sec. Uncle Gao's crazy experiments in brewmastery have granted Yan-Zhu one of two abilities. Causes the target to gush brew from their ears for 60 sec. Inflicts 20000 Physical damage to and knocks targets back in a 10-degree cone on either side of the bloated player. A heavy brew that inflicts 10000 Frost damage to all players and applies 3 stacks of Blackout Brew. Stacks can be removed by moving and jumping. If Blackout Brew reaches 10 stacks, the player is stunned for 10 sec. Just A Few More Ingredients! At 75% health remaining, Uncle Gao adds a few more ingredients to the brew, increasing Yan-Zhu's size and granting one of two new abilities. Yan-Zhu covers himself with 8 small bubbles. Each bubble grants Yan-Zhu 10% damage reduction. Yeasty Brew Alemental Yan-Zhu summons forth Yeasty Brew Alementals to aid him. Restores 1% of health and mana every 1 second. Now Turn Up The Heat! At 50% health remaining, Uncle Gao further modifies the recipe, increasing Yan-Zhu's size and granting one of two new abilities. Yan-Zhu fills the room with Carbonation for 20 sec. Inflicts 1000 Frost damage every 1 seconds to enemies that are close to the ground and prevents them from performing any actions due to acute asphyxiation. In addition, Carbonation causes Fizzy Bubbles to spawn. Fizzy Bubble Clicking on a Fizzy Bubble grants the ability to fly for 20 sec. Yan-Zhu periodically summons forth walls of sudsy brew. Inflicts 10000 Frost damage every 0.5 seconds to players that stand in the wall and stuns them for 5 sec. The sudsy nature of Yan-Zhu grants players the ability to jump extra high. Amethyst Guardian The Amethyst Guardian gains energy when it is within 12 yards of another guardian. This energy can be used to cast Amethyst Overload. If no other guardian is within range it instead gains the Solid Stone effect. Creates a pool that inflicts 25000 Shadow damage every 1 sec. to enemies who enter the area. Upon reaching full energy the guardian overloads, inflicting 500000 Shadow damage to all enemies and interrupting Amethyst Petrification. Does not free fully petrified enemies. The guardian attempts to turn its enemies to amethyst, reducing the Shadow damage they take by 80% but progressively slowing their movement speed. Enemies who reach 100 stacks of petrification turn to stone and are unable to move or act. When no other stone guards are nearby the guardian reverts to stone form. While in this form it takes 90% reduced damage but cannot gain energy. Cobalt Guardian The Cobalt Guardian gains energy when it is within 12 yards of another guardian. This energy can be used to cast Cobalt Overload. If no other guardian is within range it instead gains the Solid Stone effect. Cobalt bursts from the ground at the target's feet, inflicting 40000 Arcane damage and preventing all movement for 6 sec. Upon reaching full energy the guardian overloads, inflicting 500000 Arcane damage to all enemies and interrupting Cobalt Petrification. Does not free fully petrified enemies. The guardian attempts to turn its enemies to cobalt, reducing the Arcane damage they take by 80% but progressively slowing their movement speed. Enemies who reach 100 stacks of petrification turn to stone and are unable to move or act. Jade Guardian The Jade Guardian gains energy when it is within 12 yards of another guardian. This energy can be used to cast Jade Overload. If no other guardian is within range it instead gains the Solid Stone effect. Fire shards of jade in all directions, inflicting 65000 Nature damage to all enemies. Upon reaching full energy the guardian overloads, inflicting 500000 Nature damage to all enemies and interrupting Jade Petrification. Does not free fully petrified enemies. The guardian attempts to turn its enemies to jade, reducing the Nature damage they take by 80% but progressively slowing their movement speed. Enemies who reach 100 stacks of petrification turn to stone and are unable to move or act. Jasper Guardian The Jasper Guardian gains energy when it is within 12 yards of another guardian. This energy can be used to cast Jasper Overload. If no other guardian is within range it instead gains the Solid Stone effect. Inflicts 100000 Fire damage to an enemy and its nearest allies, affecting up to 5 targets. Upon reaching full energy the guardian overloads, inflicting 500000 Fire damage to all enemies and interrupting Jasper Petrification. Does not free fully petrified enemies. The guardian attempts to turn its enemies to jasper, reducing the Fire damage they take by 80% but progressively slowing their movement speed. Enemies who reach 100 stacks of petrification turn to stone and are unable to move or act. These tiles absorb the energy from Living Amethyst, Living Cobalt, Living Jade, and Living Jasper when a player stands on them. Each tile can absorb one charge of energy. For each energized tile in the room, the raid gains a stack of Energized Tiles. The energy of the living stone flows through the room tiles, empowering players. Each stack increases damage dealt by 1%. The energy that powers the Amethyst Guardian forms into a crystal. Players who interact with this crystal will be afflicted with the Living Amethyst effect. 5 charges of the energy that animates the Amethyst Guardian tear though your body. Each charge inflicts 10000 Shadow damage every 1 sec. Charges of this energy can be drained into white floor tiles to energize them. The energy that powers the Cobalt Guardian forms into a crystal. Players who interact with this crystal will be afflicted with the Living Cobalt effect. 5 charges of the energy that animates the Cobalt Guardian tear though your body. Each charge inflicts 10000 Arcane damage every 1 sec. Charges of this energy can be drained into white floor tiles to energize them. The energy that powers the Jade Guardian forms into a crystal. Players who interact with this crystal will be afflicted with the Living Jade effect. 5 charges of the energy that animates the Jade Guardian tear though your body. Each charge inflicts 10000 Nature damage every 1 sec. Charges of this energy can be drained into white floor tiles to energize them. The energy that powers the Jasper Guardian forms into a crystal. Players who interact with this crystal will be afflicted with the Living Jasper effect. 5 charges of the energy that animates the Jasper Guardian tear though your body. Each charge inflicts 10000 Fire damage every 1 sec. Charges of this energy can be drained into white floor tiles to energize them. Feng the accursed deals 80000 Shadow damage to 3 random targets. Feng the accursed deals 80000 Shadow damage to 8 random targets. Around 95%, 66%, and 33% life, Feng will siphon the essence out of the great statues of mogu champions past, gaining their boon. (HC) In Heroic difficulty, Feng will siphon from whichever statue is nearest to him. The caster channels a arcane storm, its missiles increasing in velocity and damage as they travel further. Feng charges random targets with Arcane Resonance, which deals10000 Arcane damage every 1 second for every player standing within 10 yards. Feng's fiery spear sears the flesh of an enemy target, inflicting 10000 Fire damage every 2 sec for 20 sec. Ignites an enemy, causing it to explode after 5 seconds, igniting a wildfire at their location. Absorbing Wildfire charges Feng's weapon, causing melee swings to deal 120000 additional Fire damage to all enemies. Feng slams a lightning-charged fist into the ground, causing a shockwave to pulse in front of him, dealing 180000 Nature damage and stunning those caught in its path. Feng channels a violent earthquake, dealing more damage towards the epicenter of the quake, and reducing enemies chance to hit by chance to hit by 75%. Feng's cursed shield draws the soul of enemies to it, healing him for 2% of his life per soul that is absorbed. Feng's cursed shield draws the soul of enemies to it, healing him for 5% of his life per soul that is absorbed. Feng strikes an enemy with a Chain of Shadow that arcs to another nearby enemy. The spell affects up to 3 targets, inflicting diminishing Shadow damage to each successive target. The heroic willpower of tank-specced players allows them access to the leftover essence shards from the awakened statues. Friendly units standing inside the Nullification Barrier will have all harmful magical effects nullified. Shrouds a friendly target with an aura of magic reversal, allowing the caster to mimic any hamful ability their target takes. Summary of Fight:Beat the snot out of the boss before he beats the snot out of you. Shadowy Minion Shadowy Minions exist in the spirit world; but their pressence can be seen even in the physical world. Shadowy Minions will cast Spiritual Grasp periodically for as long as they are alive. [Not LFR]Shadowy Minions will also cast Shadow Bolts at players who have crossed over into the spirit world. Shadowy Minions in the Spirit World inflict Shadow Damage on a random member of the raid and anyone within three yards of them. Inflicts Shadow Damage to the target. Spirit Totem Gara'jal the Spiritbinder summons a Spirit Totem at a random location. [LFR]Players can click on these to travel to the spirit world.By destroying these totems, the closest (3 (10)/4 (25)) players within 6.5 yards of the totem will travel to the spirit world. Players who have been turned into Voodoo Dolls can not cross over into the spirit world.Gara'jal the Spiritbinder will stop summoning Spirit Totems while Enraged. [LFR]Players who cross over to the Spirit World have 30 seconds before they return to the physical world.Players who cross over to the spirit world have 30 seconds to have their soul returned to their physical body or else they will perish inside the spirit world.Players leave behind their physical body when crossing over to the spirit world. By healing this physical body to full, the soul will be returned to the physical body. After having their soul returned to the physical world, players must wait 10 sec. before returning to the spirit world. When a player's physical body is healed, their soul is energized. Spiritual Enervation takes on different forms based on the target's class and role. The efficacy of Spiritual Enervation is based on the amount of healing done to the physical body. Mana equal to the amount healed is restored to the recipient over 12 sec. Rage is generated every 1 sec. for 12 sec. Energy is gained every 1 sec. for 12 sec. Runic Power is gained every 1 sec. for 12 sec. Focus is gained every 1 sec. for 12 sec. NYI every 1 sec. for 12 sec. The Maelstrom Weapon effect is granted every 1 sec. for 12 sec. Holy Power is gained every 1 sec. for 12 sec. Gara'jal the Spiritbinder fixates on his current target and then chooses (10-2,25-3,LFR-2) other players from the raid to turn into Voodoo Dolls. Players who have been turned into Voodoo Dolls can not enter the spirit world.Voodoo Dolls persists until the victim perishes or until Gara'jal the Spiritbinder Banishes his fixate target to the spirit world. Gara'jal the Spiritbinder fixates on his current tank target and turns him into a Voodoo Doll. 60% damage dealt to the target is copied to all other Voodoo Dolls in the raid. 60% damage dealt to a Voodoo Doll is copied to all other Voodoo Dolls in the raid. Gara'jal the Spiritbinder Banishes his current tank target to the spirit world completely. Unlike other players who cross over into the spirit world, victims of Banishment do not leave a physical body behind.While in the spirit world, the victim will be assaulted by (Normal/LFR-1,Heroic-3) Severer[s] of Souls. Defeating all Severers of Souls will free the victim.Banish removes all current Voodoo Doll effects on the raid. Severer of Souls Severers of Souls appear to tear the soul from Banished victims. If all Severers of Souls are not defeated within 30 sec. then the Banished victim will die. Kills the victim after 30 sec. When Gara'jal the Spiritbinder reaches 20% health remaining he Enrages. While Enraged, Gara'jal the Spiritbinder gains 100% melee haste and 50% damage.Gara'jal ceases summoning Spirit Totems while Enraged. Meng Sharpfang The Mad Emporer. Upon being defeated, the Mad Emporer remains in battle in a weakened state, only able to use his Maddening Shout ability. The Maddening Shout of Meng Sharpfang causes all enemies to go mad. Inflicting 10000 Shadow damage every 3 sec and causing all enemies to hate each other, players regain their sanity after taking 10000 damage from another player.The Mad King retains Maddening Shout after being defeated. Becomes more insane every 0.5 sec, at 100 sanity Meng switches personalities to Cowardice. While Crazed the Mad King has increased Physical damage dealt by 200% of Meng's sanity. Becomes more insane every 0.5 sec, at 100 sanity Meng switches personalities to Crazed. While Cowardice the Mad King reflects damage equal to 50% of Meng's sanity. The Mad King has a Crazy Thought, increasing his insanity by 10. The Mad King has become enraged, doubling sanity gain. Qiang Steelskin The Warlord Emporer. Upon being defeated, the Warlord Emporer remains in battle in a weakened state, only able to use his Flanking Orders ability. The Warlord King orders a flank, calling in a wave of Mogu from the flank! These Flanking Mogu cast Overhand Strike, inflicting 500000 Physical damage to enemies within 4 yards in front of them.The Warlord King retains Flanking Orders after being defeated. The Warlord King's attacks are so brutal that no single man can stand against him. Attacks inflict 600000 Physical damage, split among all enemies hit. Qiang focuses on Annihilating his enemies in front of him, inflicting1500000 damage to enemies within 20 yards. Immune to all attacks and spells and increases attack speed by 200% for 10 sec. Sebotai Swiftfoot The Bandit Emporer. Upon being defeated, the Bandit Emporer remains in battle in a weakened state, only able to use his Pillage ability. Charges a target and begins to cast Pillage, stealing all of the target's posessions. Pillaged reduces damage and healing done by 50% and reduces Armor by 50%.The Bandit King retains Pillage after being defeated. Sebotai casts three quick Volleys. The first inflicts 50000 Physical damage to enemies in a large cone in front of the caster, then 75000 Physical damage in a medium cone, finally 100000 Physical damage in a small cone. The Bandit King casts Rain of Arrows at the location, causing Pinned Down on all targets within 8 yards of the area. Pinned Down inflicts 15000 Physical damage every 1 sec until the arrow is removed from the victim. Patriot Arrow The Patriot Arrow causes Pinned Down, inflicting 15000 Physical damage every 1 sec until the Patriot Arrow is destroyed! Damaging attacks against the King causes the attacker to be Robbed Blind. Reducing damage and healing done by 50% and reduces Armor by 50%. Sebotai is vulnerable to Stun while Sleight of Hand is active. Reduces damage and healing done by 50% and reduces Armor by 50%. Tian Dreadshadow The Sorcerer Emporer. Upon being defeated, the Sorcerer Emporer remains in battle in a weakened state, only able to use his Undying Shadows ability. Forms an Undying Shadow at the target location. Undying Shadows inflict 20000 Shadow damage every 1 sec to enemies with 10 yards until it is killed.The Sorcerer King retains Undying Shadows after being defeated. Undying Shadow The Creature inflicts 20000 Shadow damage every 1 sec to enemies within 10 yards until it is killed. Undying Shadow will fixate on the closest target to it when it spawns. After being killed the Undying Shadow dies and starts to reform itself, causing Coalescing Shadows at the location. After 30 seconds the Undying Shadow fully coalesces, reforming itself. Inflicts 20000 Shadow damage every $t1 sec to enemies with 10 yards. After 30 seconds the Undying Shadow fully coalesces, reforming itself. The Shadow Blast inflicts 100000 Shadow damage to enemies within 8 yards of the target. Inflicts 85000 Shadow damage to enemies within 8 yards of each other. Damaging abilities made against the Mogu King inflict 200000 Shadow damage to all enemies. Inflicts 200000 Shadow damage to enemies all enemies. [PH] This is the angriest mogus. They are hard as a rock and mean as a fist made of smaller fists. Coolant Gas fills the room, dealing 30000 Frost damage every 1 seconds to all players and energizing any constructs, increasing damage dealt by 50%. Emperor's Rage The smallest Terracotta warrior, the Emperor's Rage strike quickly with dual axes and were often the foremost lines in Lei Shin's mechanical armies. Fixates on a player, attacking only that player until they are dead or can no longer be found. The Emperor's Rage wear very little armor and are susceptible to all forms of crowd-control. Emperor's Courage The Emperor's Courage carry a polearm to harry opponends, and form a powerful defensive wall with shields and armor. Comes to the aid of Jan-xi or Qin-xi by fixating on a tank, attacking only that player until they are dead or can no longer be found. Inflicts 100% weapon damage and slows the target, reducing movement speed by 25% for 10 sec. Stacks up to 4 times. The Emperor's Courage wear directional armor. All damage taken from the front is blocked or deflected, but the construct can be snared. Emperor's Strength The Emperor's Strength are heavily-armored and strike earth-shaking blows with a massive two-handed hammer. Smashes the ground in front of the Soldier, inflicting 300000 Physical damage to players within 10 yards of the strike zone and stunning them for 2 sec. Each time Energizing Smash is cast, the radius increases by 1 yard. The Emperor's Strength wear heavy armor and cannot be crowd-controlled in any way. Jan-xi and Qin-xi Jan-xi and Qin-xi activate after 90 seconds and share a health pool. Jan-xi and Qin-xi perform a devastating combination of five attacks. (HC) In Heroic Difficulty, the Devastating Combo consists of ten attacks. (LFR) In Looking for Raid Difficulty, the Devastating Combo consists of three attacks. Strikes a 25-yard hemispherical area to the left, right, or in front of Jan-xi or Qin-xi. Inflicts 300000 Physical damage and reduces armor by 10% for 30 sec. Stacks up to 10 times and pierces all immunities. Stomps the ground, inflicting 300000 Physical damage to all players within 12 yards and stunning them for 2 sec. This attack pierces all immunities. Magnetizes the current target for 10 sec. If a magnetized player is more than 16 yards from the construct, they will be pulled back to the construct. If all players avoid all attacks in a Devastating Combo, Jan-xi or Qin-xi becomes unbalanced, granting all players within 16 yards the Opportunistic Strike ability for 3 sec. Inflicts 500000 Physical damage. Titan Spark On Heroic difficulty, when any construct dies, 2 Titan Sparks are released. When a Titan Spark dies or reaches its target, it releases the Energy of Creation. Inflicts 500000 Nature damage to all players within 8 yards and energizes any constructs, increasing attack speed by 50% for 120 sec. This effect stacks. Killing a member of the Protectors causes Sha Corruption to explode from their bodies and possess the remaining Protectors. Sha Corruption heals each Protector to their maximum health, increases their damage done by 25% and grants them additional abilities. Protector Kaolan corrupts a player, inflicting 40000 Shadow damage every 3 seconds for the remainder of the fight. This ability is granted by 1 charge of Sha Corruption.Protector Kaolan desecrates the land beneath a player's location for the remainder of the fight, inflicting 100000 Shadow damage every second and increasing damage taken from Defiled Ground by 10% for 30 sec. This effect stacks. This ability is granted by 2 charges of Sha Corruption.Protector Kaolan expels a mass of corruption at his location for the remainder of the fight, inflicting 100000 Shadow damage to all players within 30 yards every 3 seconds. The damage of Expelled Corruption is decreased the further a player is from the source of corruption. Elder Regail hurls a bolt of lightning, inflicting 100000 Nature damage. Elder Regail imprisons 2 players in a field of lightning, stunning them and causing them to inflict 70000 Nature damage every second to all players within 7 yards. (25) In 25 player Difficulty, Elder Regail imprisons 5 players. This ability is granted by 1 charge of Sha Corruption.Elder Regail summons a Lightning Storm, causing several lightning strikes. First striking at Elder Regail's location and then in a ring around him at 20, 40, 60 and 80 yards. Each strike inflicts 100000 Nature damage to all players within 10 yards of Lightning Storm's impact. This ability is granted by 2 charges of Sha Corruption.Elder Regail is overwhelmed with corruption, inflicting 30000 Shadow damage to all players every 3 seconds and increases damage taken from Overwhelming Corruption by 5%. This effect stacks. Elder Asani hurls a bolt of water at an enemy's location, inflicting 75000 Nature damage to all players within 3 yards of the targeted location. Elder Asani summons a globe of Cleansing Waters at a Protector's location. When the globe reaches the ground, all targets within 3.5 yards are healed every second for 10 sec. This ability is granted by 1 charge of Sha Corruption.Elder Asani summons a globe of Corrupted Water that Empowers all Protectors, granting them 100% melee and casting speed until it is destroyed. Destroying the Corrupted Waters grants all players within 15 yards the Purified effect, increasing melee, ranged and spell casting speed by 100% for 20 sec. This ability is granted by 2 charges of Sha Corruption.Elder Asani is overwhelmed with corruption, inflicting 30000 Shadow damage to all players every 3 seconds and increases damage taken from Overwhelming Corruption by 5%. This effect stacks. Minions of Fear pour from the Terrace of Endless Spring, pursuing the Protector with the lowest remaining health. When a Minion of Fear dies, it fills the 2 closest players with Corrupted Essence, increasing their damage done by 10% for 45 sec. This effect stacks up to 10 times.If Corrupted Essence ever reaches 10 stacks, it is removed and the Essence of Fear is unleashed. (25) In 25 player Difficulty, Corrupted Essence filles the 5 closest place. The Essence of Fear inflicts 100000 Shadow damage to all players within 30 yards. When a Minion of Fear reaches a Protector, it fills them with Greater Corrupted Essence, increasing their damage done by 10% for 60 sec. This effect stacks up to 10 times.If Greater Corrupted Essence ever reaches 10 stacks, it is removed and the Greater Essence of Fear is unleashed. The Greater Essence of Fear inflicts 400000 Shadow damage to all players, horrifying them for 3 sec. *Face your fears in up to 3 epic battles! *Become the Champion of the Light! *Waffles not included. The Sha of Fear looms atop the terrace, attempting to consume the pure light still emanating from its center. A narrow column of uncorrupted light still projects skyward from the center of the terrace. When a player stands in this light it bends, forming a protective wall that extends back from this Champion of the Light in a 'V' shape. This attracts the attention of the Sha, who fixates on the Champion. The Champion and other players standing within the wall of light take 15% reduced damage from all sources. The wall also deflects the Sha's Breath of Fear attack. The Sha inflicts 0 Shadow damage to all enemies over 1.5 sec. Affected enemies are feared for the duration. Players standing behind the Wall of Light are unaffected. The Sha throws a skull at a player's location, inflicting 45000 Shadow damage and reducing the casting speed of enemies within 3 yds of the impact point by 50% for 2 sec. The Sha cackles ominously and teleports a group of players to one of the outer shrines to battle a former guardian of the terrace. Terror Spawn The Sha periodically summons a pair of Terror Spawns to attack players. Each Terror Spawn is protected by a bulwark of dark energy that deflects spells and attacks that strike the front of the creature. Hurls a bolt of dark magic at an enemy, inflicting 10000 Shadow damage and increasing Shadow damage taken by 10% for 15 sec. Heart of Fear The heart of the Sha can be targeted and attacked separately. It takes 50 increased damage from attacks and spells, but is immune to area of effect abilities. The Heart of Fear saps the courage of its attackers, inflicting 20000 Shadow damage and causing them to flee in terror when it suffers damage. This effect removes normal fear immunities, but players who are Fearless are unaffected. The Sha strikes at a distant target, inflicting 75000 Shadow damage and increasing Shadow damage taken by 25% for 25 sec. This ability is used when no targets are in melee range. The group of players transported by Ominous Cackle must defeat one of three Sha possessed crossbowmen. The pandaren Yang Guoshi, Cheng Kang, and Jinlun Kun are former terrace guardians. The caster shoots at the target, inflicting 75000 Physical damage. The caster rapidly fires sprays of Dread Bolts at enemy targets for 8 sec. The caster is immune to taunt for the duration. Each spray of Dread Bolts fires in a cone in front of the caster, inflicting 30000 Shadow damage and afflicting the target for 8 sec. At 2 stacks, the target is feared for 4 sec. The caster spins in a circle, unleashing a hail of bolts in all directions for 6 sec. Each bolt that strikes an enemy inflicts 35000 Physical damage. Defeating any of the possessed crossbowmen returns the group to the central terrace and grants them complete immunity to Fear and Horror effects for 20 sec. This effect cannot be removed by the Heart of Fear. On heroic difficulty the Sha of Fear retreats to the Dread Expanse at low health, dragging players along with him. This watery wasteland is a place of the Sha's making where he has access to a new set of abilities. The uncorrupted light from the terrace binds itself to the current champion and takes on a new form. It grows stronger, granting the champion immunity to fear and horror effects and 25% reduced damage taken. The champion can use this ability to move the Pure Light to a targeted friendly player. The Sha unleashes an Implacable Strike in the direction of his current target that inflicts 700000 damage to enemies up to 20 yards away. The Sha strips the gear from his current target before performing Implacable Strike, reducing the target's armor and chance to dodge by 100% for 40 sec. The Sha agitates the water under several players, creating a series of waterspouts. Each waterspout takes 1.5 sec. to form and explode, inflicting 60000 Frost damage to enemies within 2 yds. The Sha terrifies several players, causing them to cower in fear and inflicting 45000 Shadow damage every 1 sec. for 15 sec. The Sha disappears below the surface of the Dread Expanse for a short time, then emerges under a random player inflicting 500000 Frost damage to enemies within 10 yds. The Sha summons a Dread Spawn at his location each time he submerges. Dread Spawn This creature fixates on the current champion of the light. If a new player becomes the champion the Dread Spawn will change targets. The Dread Spawn emits Shadow Bolts. Each inflicts 35000 Shadow damage to a random player. The Dread Spawn kills his current target if he is able to get within melee range.